Although honey is delicious to eat, it has also been used for healing purposes for thousands of years. Due to its many healing properties, honey can be used in a wide variety of ways. Researchers have teams of people looking into the properties of honey and its health benefits. One such team, the Waikato Honey Research Unit in New Zealand, continues to find evidence that honey is not just beneficial, but far more beneficial than we ever considered. However, not all honey is made the same. Different honey should be used for different remedies. 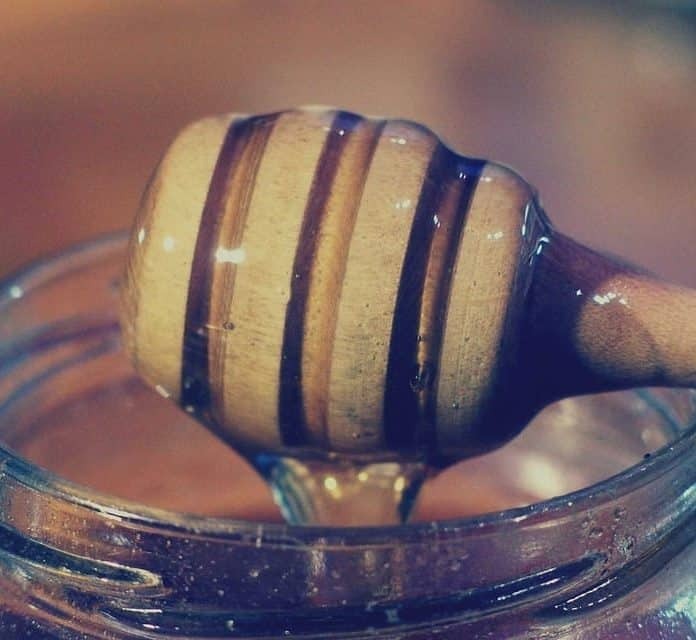 Picking the right honey will determine how effective it is when you try a home remedy. When looking for a honey with antibacterial properties, you should choose manuka honey. Manuka honey is made from the pollen of the manuka tree of New Zealand. Manuka honey contains more antibacterial compounds than any other and contains high levels of non-peroxide activity making it more effective at fighting bacteria. Here are 16 ways to use honey in your home as remedies for the things that ail you. Honey is both an antimicrobial and an antiseptic. People have been using honey on wounds for thousands of years. However, recent evidence shows that honey really is effective. It can not only boost the speed of healing but can also prevent infection. To use honey for cuts and scrapes, be sure that the honey is sterilized and lab-tested. You will want a honey will a Unique Manuka Factor (UMF) that is 10 or higher in order to fight infection. Cover the cut or scrape with the honey covered bandage. Change the bandage twice a day, first thing in the morning and before bed. Once the wound is healing, you can change the bandage just once a day. Hint: Some stores carry bandages that already have honey embedded in them. This can be less messy. If your wound is deep, is not healing quickly, or looks infected, you should seek medical care immediately. Your doctor may recommend that you keep using honey or may suggest antibiotic cream or medicine in addition to, or instead of, honey. Wounds that get infected can become septic, which can lead to blood poisoning and potential death. Honey can help prevent this, but be sure to be cautious when treating wounds. If you’ve every had a cough, you know that it can be miserable with wakeful nights and the inability to even hold a conversation. To make matters worse, common medications for a cough make you feel sleepy, causing a host of other problems. But you don’t have to rely on medications for a cough since studies show that honey is just as effective and doesn’t have the side effects. Mix together one cup of honey, 3 Tablespoons of lemon juice, and ¼ cup of warm water. Take 1 Tablespoon of the honey cough syrup whenever you begin to cough. This remedy is perfect for a cough all by itself, but can be used when the cough is due to the cold or flu as well. If your cough persists longer than two weeks, or you develop a new cough, be sure to contact a medical professional to rule out any other medical issues that may be the root cause.